Hallmark MINI driving fun combined with zero tailpipe emissions. With the introduction of the first plug-in hybrid model by the British premium brand, this will soon be a reality. The series development process for this car has almost been completed. 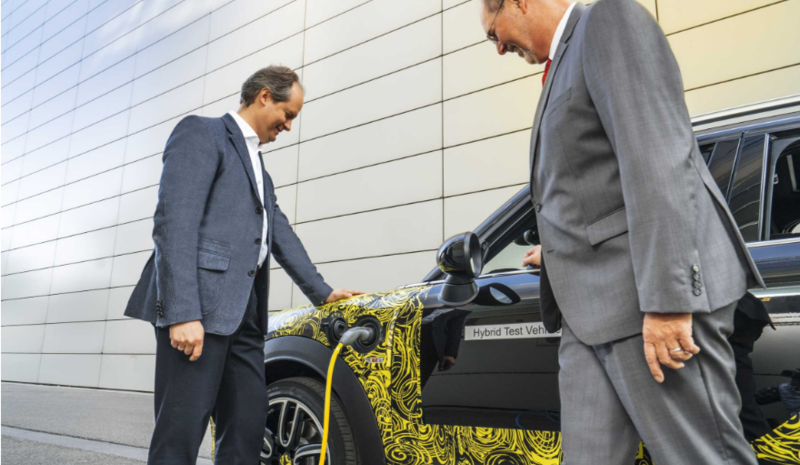 It features a combustion engine and an electric motor enabling purely electric propulsion for the first time in a MINI. This marks the beginning of a new phase for MINI, and offers a glimpse into a future that is charged with excitement for MINI customers and those drivers yet to experience the thrill of a hybrid. Head of MINI brand management Sebastian Mackensen and Head of MINI series management Peter Wolf offer insight into this new near-series test vehicle, and explain how it retains go-kart feeling in the true spirit of a MINI during a test drive of this model.